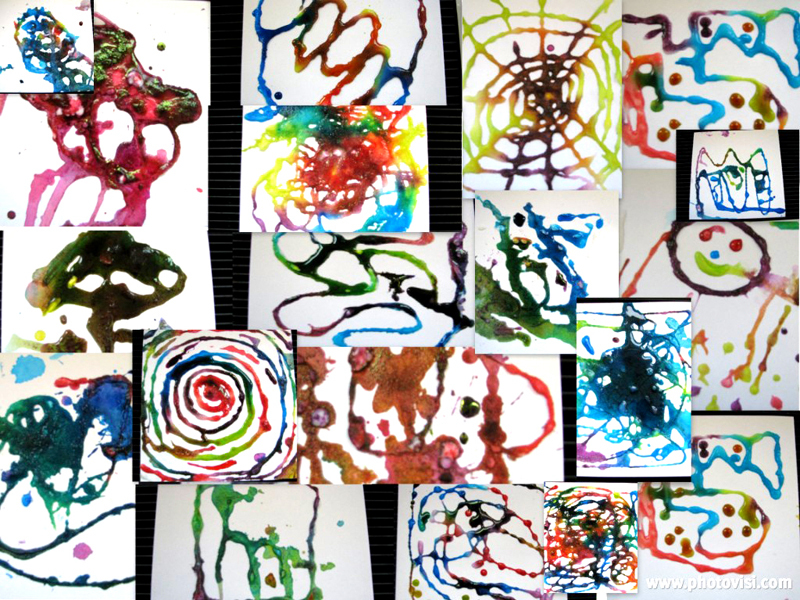 Integrate science and art with this awesome activity from Third Graders, Dreaming Big! Visit Third Graders, Dreaming Big to see this artful science experiment in action! 2. Pour salt over the top and shake excess off . 3. Mix water with food coloring. 4. Use dropper and drop liquid color on the salt. The salt will absorb the colored water and move along your design!